If surface-level issues are not attended to at an early stage, contamination will migrate further towards the base of the carpet and a deeper clean will be required. 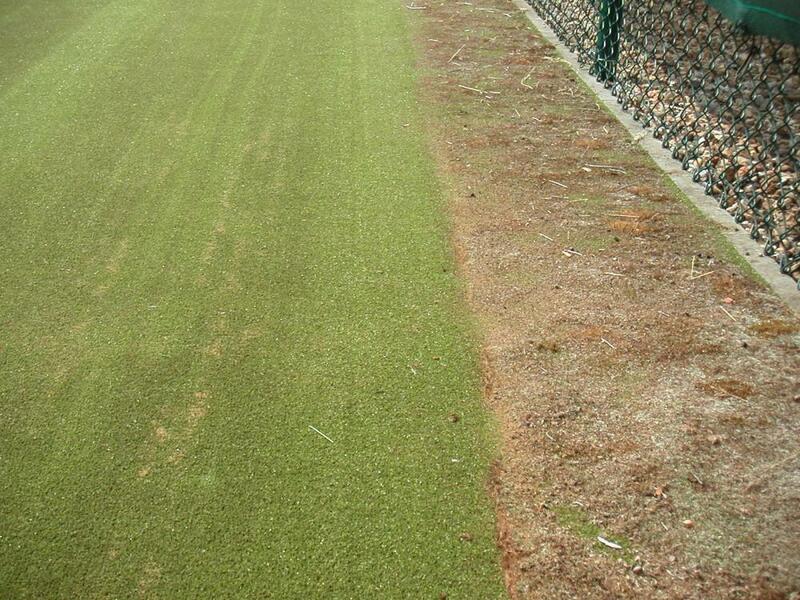 The most common problems encountered on artificial grass tennis courts stem from a lack of maintenance, which is a year-round requirement on any artificial surface. 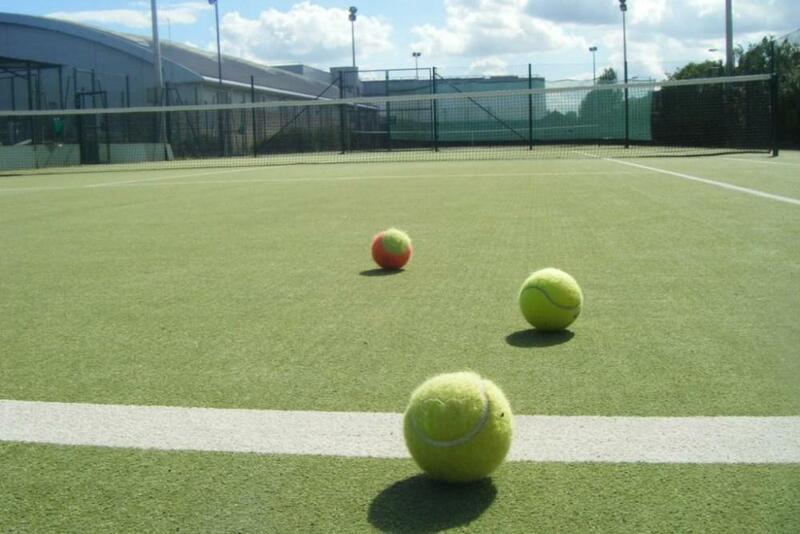 The characteristics associated with tennis – the concentration of play across the surface, the location of the courts and the irregular use of facilities out of season – bring with them inherent problems for the artificial grass on which the sport is played. Play is often concentrated towards the baselines, and continued usage and high wear in these areas can cause compaction of the sand infill. As well as hardening the feel of the carpet underfoot, compacted sand prohibits adequate drainage through the carpet, resulting in standing water and surface contamination. A Baseline Decompaction will help to ‘open up’ the carpet, restoring drainage, traction and comfort. Concentrated play can also displace the sand infill away from high-use areas and cause excessive wear to the baselines. Short-pile courts typically measure 12mm high, and the sand infill helps to protect the top of the carpet. As high or concentrated levels of usage cause the carpet pile to become flattened and compacted, topping up the sand levels helps to counteract any resultant movement of the infill, whilst restoring the grip afforded to players. As part of a regular maintenance programme, sand levels should be monitored and regulated where required, to help ensure that the full use and Life Expectancy of the tennis court is realised. 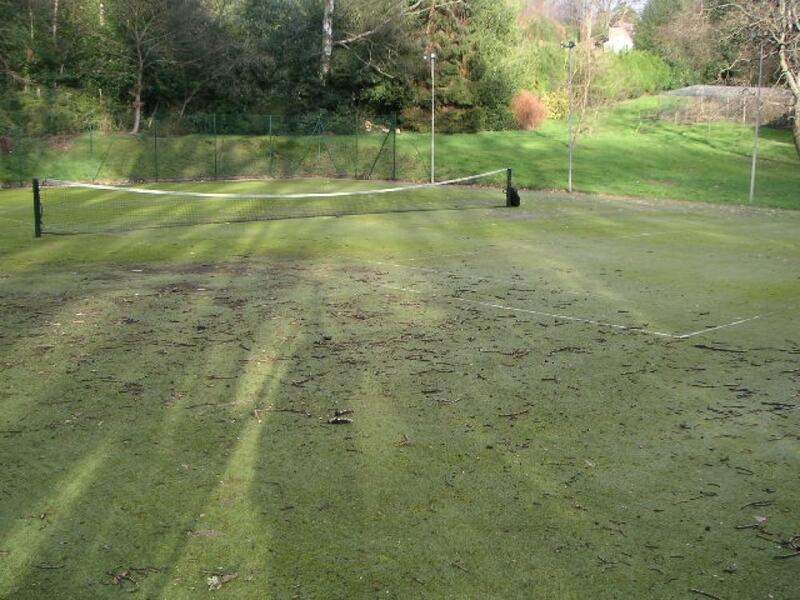 Private tennis courts are especially prone to moss and vegetation growth, as they are largely situated in the shade of overhanging trees and adjacent buildings, and often lay unused for all but a few months of the year. This jeopardises both the cosmetic appearance and the health & safety of the courts. Regular Power Sweeping and Vegetation Treatments restrict the growth of vegetation, and should ideally be completed in tandem as a deterrent. An annual deep clean on sand-filled tennis courts will periodically agitate the carpet at a deeper level. However, if surface-level issues are not attended to at an early stage, contamination will migrate further towards the base of the carpet and a deeper clean will be required. Where a tennis court has suffered for a number of years from a lack of maintenance, the benefits of removing and replacing the contaminated sand infill are often the most striking. Only this type of specialist work will remove problems with standing water and help to restore the original playing and draining characteristics, returning the carpet to an ‘as new’ condition at the fraction of the cost of resurfacing. 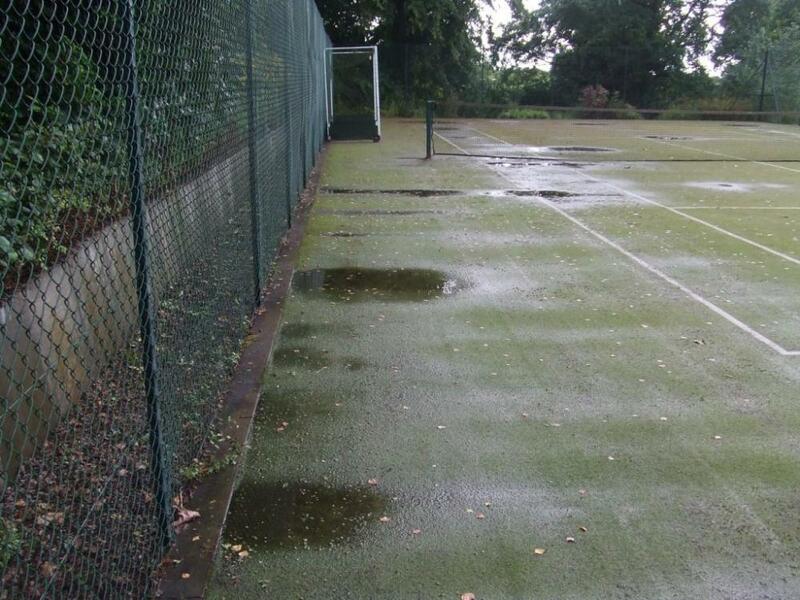 So, while a number of potential pitfalls do exist in the care of artificial grass tennis courts, the majority of these stem from a single underlying cause – a lack of maintenance. In-house efforts (leaf picking, litter collection, Drag Brushing) combined with outsourced maintenance such as regular Power Sweeping and Vegetation Treatments and specialist corrective processes as required, will leave your court in top condition for the coming tennis season.